I used to work and live 2 hours from my husband and I would commute back and forth to see him on the weekends. One week I inadvertently left my driver’s license at the weekend home. My husband scanned it and emailed it to me, but I didn’t have a physical copy of it. I printed the scanned license, but wasn’t paying attention and instead of printing an actual-sized license I printed a giant 16 by 20 inch clown-sized license. I was rushing to meet a friend for dinner so I just grabbed my ginormous license and shoved it in my purse, confident that I wouldn’t have to show it to anyone anyways. But of course it was Cinco de Mayo, and of course I had stupidly picked a mexican restaurant to eat at and of course they carded me just to get into the restaurant. I admit that until very recently, I was ignorant of the origins of the Cinco de Mayo celebration. My experience with Cinco de Mayo is cramming into crowded mexican restaurants, eating a couple of tacos, drinking a couple of margaritas at a killer discount and going home. Enjoyable, yet perplexing. It had to be about more than just drink specials. So I did some research. Cinco de Mayo, which is celebrated on the 5th of May, (cinco=five, mayo=May) was originally a celebration of the mexican victory at the Battle of Puebla. The french army had been invading Mexico since 1861. They had superior training, weapons, large forces, etc. but on May 5th 1862 they attempted to take the town of Puebla and failed. Mexico won the battle and the victory was so powerful that years later we’re still flooding into Mexican restaurants on the 5th of May. Sadly, the victory, though impressive, was short-lived and the french easily defeated Puebla on the second attempt. 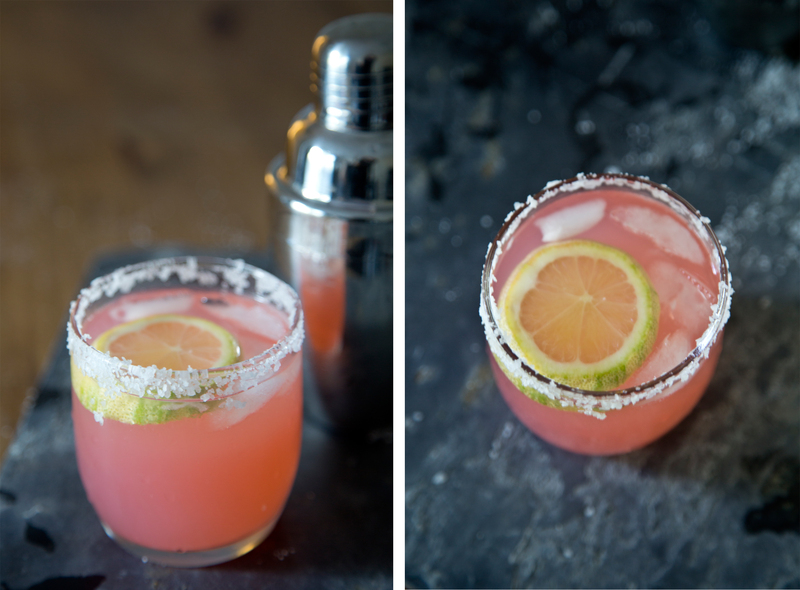 To celebrate victory over the french, as well as have a good excuse to drink tequila, I decided to create a margarita recipe for this week’s blog post. Initially, I planned on making a papaya margarita, but when I was perusing the produce section of the grocery store I found pink lemons. Pink lemons! I never even knew pink lemons existed and was quite excited to discover them. I’m a huge fan of gimmicky fruits; they probably are genetically altered and carcinogenic, but I love them anyways. Several years ago I found an apple called a grapple, which is an apple that tastes like a grape. That’s just crazy! I don’t even like the taste of grapes, but I still bought 4 of them. Though I had no idea what I was going to do with them, I bought 3 pink lemons. 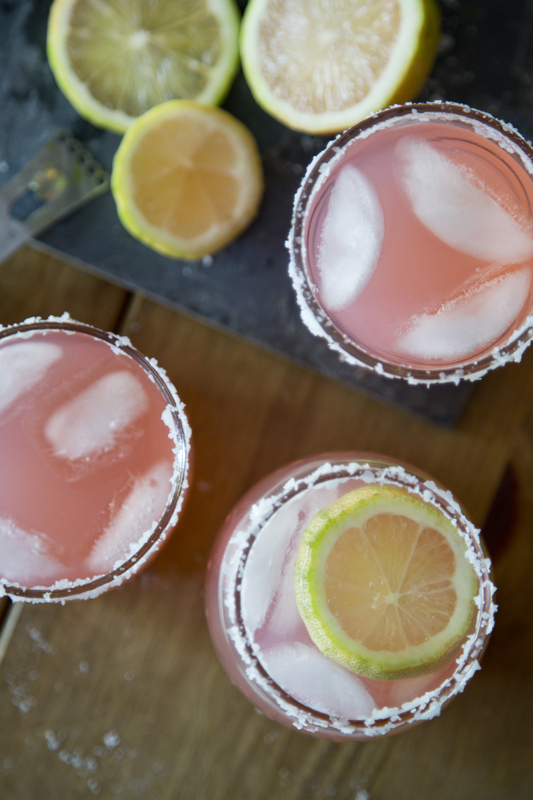 Thankfully, they lent themselves quite nicely to a festive margarita recipe. 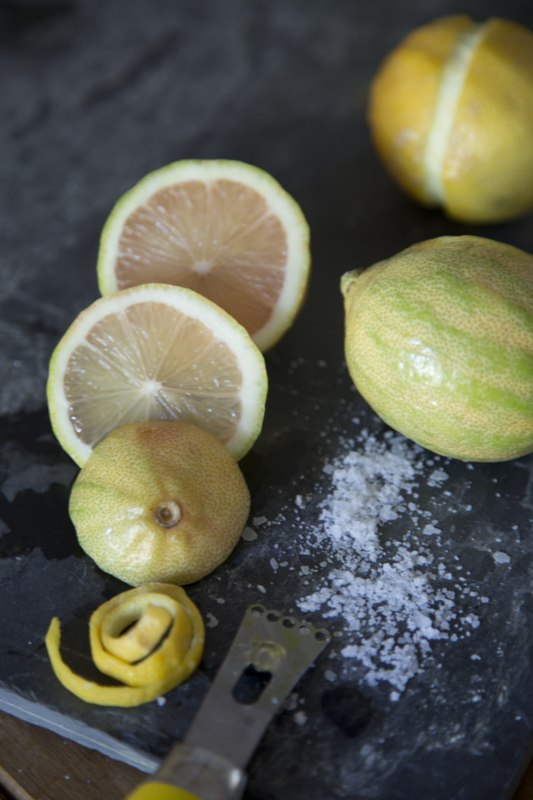 The rind of the lemon is yellow and green striped, but the flesh is a pale blush color. They tasted like normal yellow lemons but were interesting looking and made for a nice garnish. My husband and I enjoyed developing (and taste testing) this recipe. This recipe version was my 5th attempt, and I’m going to be honest with you, it tasted great. But we had already drank 4 previous attempts, so things were getting a bit hazy at this point. To the best of my recollection, this is a really good drink. If you disagree, keep on drinking; after a while it will be amazing. 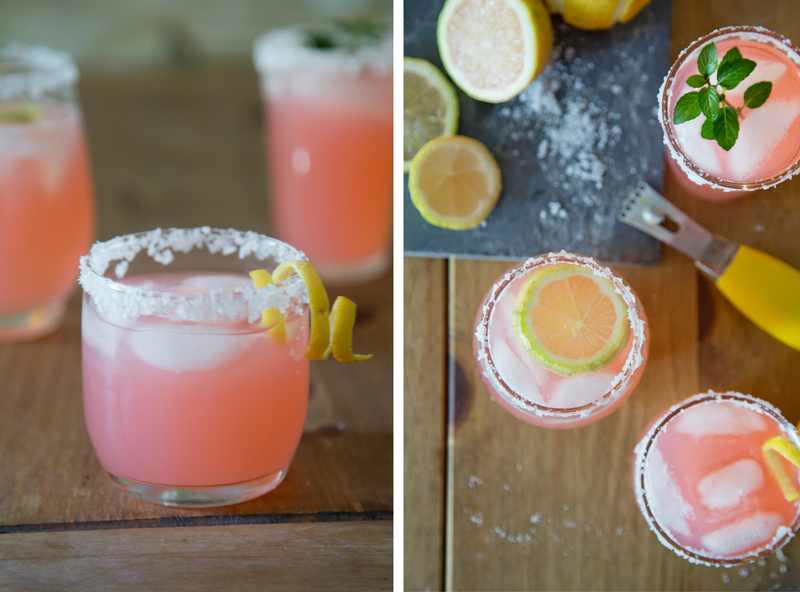 Muddle the mint and a pink lemon wedge in a glass. Add tequila, triple sec, lemon juice, grenadine and simple syrup and mix in a shaker with ice. 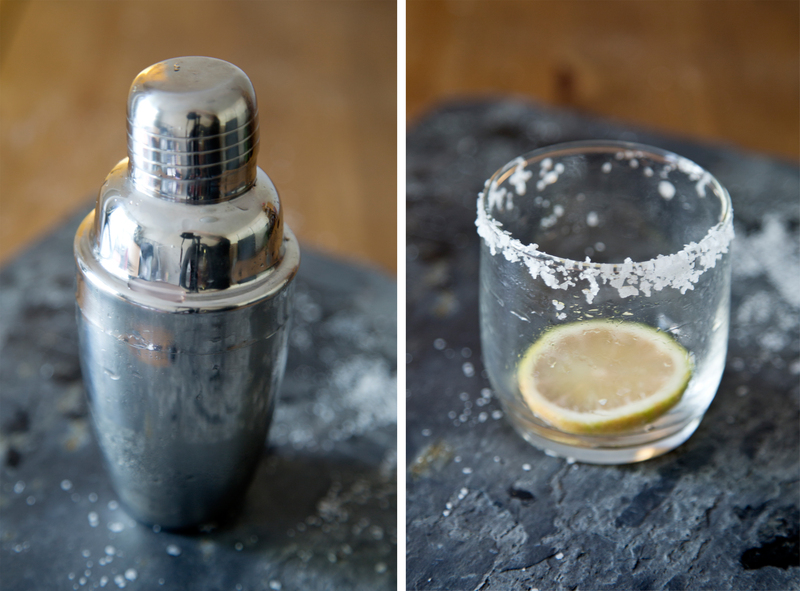 Strain into a glass with a salted (or sugared) rim and ice. 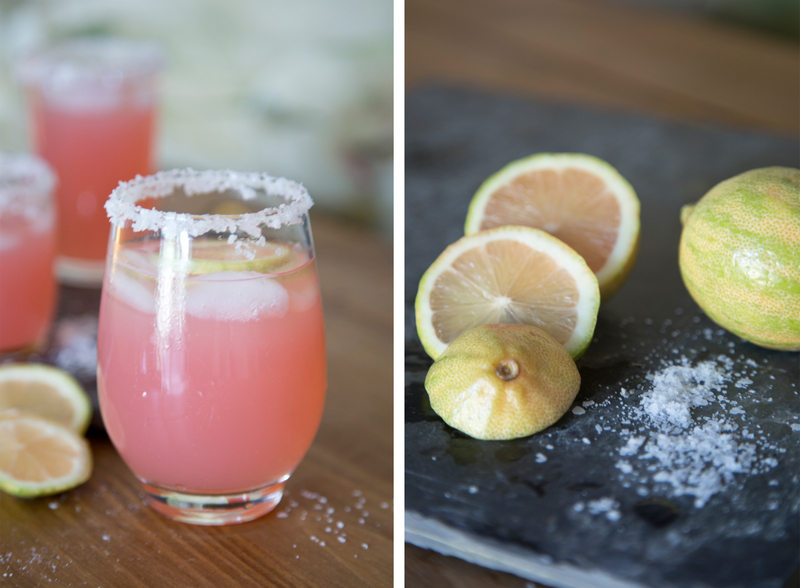 Garnish with a pink lemon slice. Enjoy with caution. Happy Cinco de Mayo. Eat lots of delicious mexican food and buen provecho! 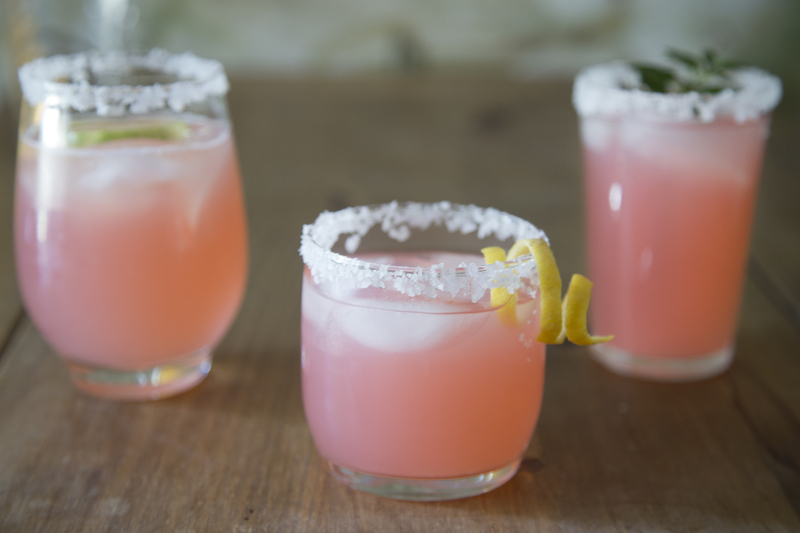 Categories: Recipe | Tags: cinco de mayo, cocktail recipe, lemon juice, margarita, mexico, pink lemon, pink lemon margarita, pink lemons, recipe, tequila, triple sec | Permalink. Love those drinks, they are so beautiful and I love Margarita’s. Thank-you! I love margaritas too. So easy to make and yummy. ha ha.. your clown sized license gave me a good giggle 🙂 This looks so pretty, I’ve never seen pink lemons before. Thanks! It was pretty humiliated at the time, but I can laugh about it now. I had never seen a pink lemon either. They are really pretty. Buy them if you get the chance.